Take a look at what you've done to me, ah ow! You bring me down like you're gravity, ah ow! Bad Taste has a unique video, eliminating any on-screen dancers. 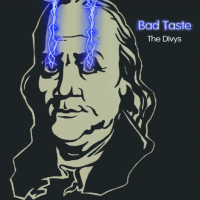 Unusually for a licensed song, Bad Taste's music video was filmed by the band specifically for use in DanceDanceRevolution UNIVERSE3. As such, there is no "full version" of its video. Bad Taste is one of the four licensed songs from DanceDanceRevolution UNIVERSE3 still present in 熱舞革命宇宙3 中文曲特别版, alongside Alice, Gutterpunk, and parade. This page was last edited on 15 January 2019, at 13:27.